One of our favourite tournaments on the European calendar has finally arrived as we now enter the month of The Open Championship. The Alstom Open de France has long been a stable part of the Tour and Le Golf National has been the host course since 1991. 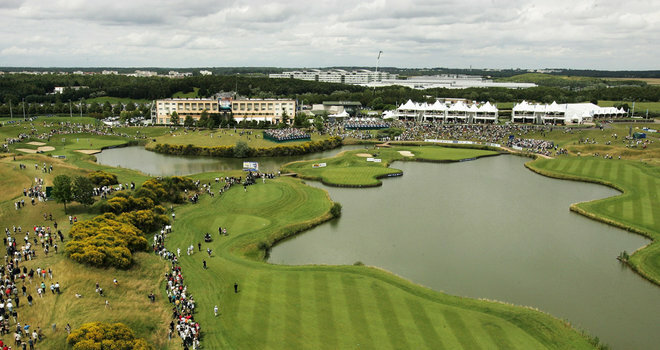 Le Golf National is one of the most incredible courses on the European Tour. And what a course it is. There is a reason that the 2018 Ryder Cup will be held here – picturesque, challenging but scoreable and just outside one of the trendiest cities in the world. In order to win here, you will need to have played perfectly from tee to green, avoiding the water hazards and bunkers whilst working tirelessly on every aspect of your game – probably having used every golf club in the bag. At times, an aggressive approach must be taken because the final stretch of holes are notoriously difficult and it makes sense to us that Pablo Larrazabal won here in 2008 because if anyone attacks pins it is the Spaniard. Measuring at 7,347 yards (Par 71) it is sandwiched in-between long and short, giving just enough to every kind of player a chance, rewarding accuracy as well as distance, with the few narrow fairways and harsh hazards that await the very array tee-shots. What does make interesting reading, especially in trying to find a winner, is how the stats have shaped the top 10 in the last 3 years. 2010 – The top 10 averaged 11 in GIR and 36 for putts per round. This basically means you need to have a very good iron game and solid ability on the greens. In all honesty we have mainly looked at this area, but have taken into account history around the course and form, because 3 out of the last 4 winners have had a top 10 at Le Golf National previously, whilst 9 out of the last 10 winners had played here at least twice before. If he is leading come Sunday, Noren will be this relaxed. The Swede has long been on our radar and generally one of our favourite players on the Tour. His form in 2013 is quite incredible and how he has not won yet is beyond us. A cracking 64 start in Germany before finishing T4, whilst a 64 on the Saturday in his home country put him in with a great shout of winning but a level par 70 meant he again, finished T4. Overall he has recorded 5 top 10s – all of which were inside the top 6 – and whilst he is yet to miss a cut in Europe this year, his lowest finish is T41 at the Volvo China Open. Now come on, that is some form! So when you think his odds are as high as they are, you do feel he warrants quite a substantial amount of hard-earned money, way more than the bigger names in the field. His form here meanwhile, is not overly impressive, but a T15 last year did have a 67 within it, which is very encouraging considering his natural ability to shoot low this year. As for his stats, as you can imagine they fit perfectly for this course across the board. 46th for GIR, 10th in putts per round and 10th in putts per GIR, whilst just for good measure, he is 6th in scrambling. We have held ourselves from jumping on Noren but this does seem like the right time to put our good faith in an incredibly talented Swede. When we read about the skiing accident that Europe’s favourite father suffered, we never thought we would be selecting him as a ‘second’ pick halfway through 2013. But here we are, Jiménez has warranted a place because it just seemed to ridiculous not to go with him. Firstly, you have to give the Spaniard enormous credit. A broken leg is not easy to recover from, but blimey has he turned his fortunes round in recent weeks. T4 at Wentworth, T14 at the Nordea Masters, T19 in Austria and T26 at the BMW International. That is some effort and shows that his game is in really good nick at the moment. Then when you think he has actually won at Le Golf National back in 2010, you do start to think this could be a magical, Hollywood-esque story come the final day. Good friend Jose Maria Olazabal nearly managed it in Ireland, so why should Miguel Ángel not be up there himself? 24th in driving accuracy, 57th for GIR, 36th for putts per GIR and 23rd for putts per round – how much of a perfect all round game is that? Factoring all this in, we are pretty sure none of the above will be as important as what Paris will have to offer. 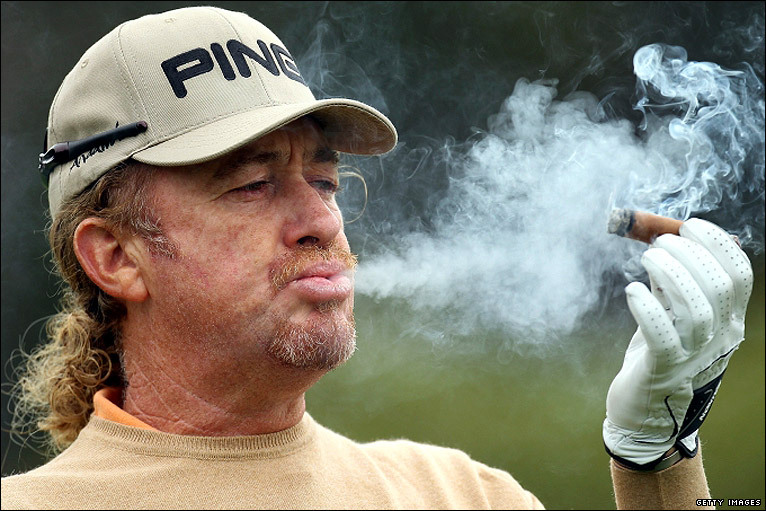 Some of the finest hand-rolled cigars in the world can only keep Jiménez happy and surely motivated to push forward and get his 20th Tour win. When we saw Wiesberger tear apart his home tournament last year, we were so impressed with how brutal his long game was and how adept his touch around the greens looked. Naturally you are going to keep both eyes out for a young player of this calibre anytime they enter a tournament, but we have often been put off Wiesberger because of such short odds. So, thankyou Kuchar, Donald and McDowell because finally the chance to back the Austrian has arisen and although his 2 appearances here have not heralded a top 10, his form and tee to green ability make him irresistible. T4 on his last outing in Germany before a T14 in Austria and solo 3rd in Sweden. He has hit the run of form that makes him incredibly dangerous in any tournament and this could be the one where he wins his 3rd Tour trophy. 23rd in driving distance, 38th for GIR, 21st for putts per GIR and 50th in putts per round proves his all round abilities and we simply could not ignore him at the odds that were being offered. He may get called cheeseburger by some of the not-so-clever pun creators, but this is a golfer who is Bernding to get a 3rd title…Wow. Our final two picks felt like they were always destined to be these two players. Both were backed last week and both didn’t quite get to a place. But after Paul Casey went on to win his first title since 2011 when we had backed him on a similar layout the week before (and many times throughout the season), you have to hedge your bets and cover people you really fancied last week. Hence Alejandro Cañizares. He did at times look very useful last week but kept bogeying at the wrong time to challenge in any way. He eventually finished T10 and continued the run of form that makes us really wonder whether he is closing in on a second European Tour title. He perhaps should have won at Wentworth, his scrambling and putting was superb and this is where the confusion of Cañizares begins. At the BMW PGA he eventually finished T4 and for the week was 2nd in putts per GIR and 5th for putts per round but was somehow 35th for GIR. Then at the Irish Open 2nd for putts per GIR and 4th for putts per round, whilst he was 45th in GIR. IF he could simply get his irons working as we know he can, then the Spaniard will walk away with whatever tournament that is. He will be confident after a solid effort last week, so we see no reason why on a course that requires great putting, he could challenge. The site of Sterne’s 2nd place earlier this year. Just couldn’t resist this picture. Secondly Richard Sterne. Even without the fact that we had him last week, he looks so useful for this course and once again we feel that the bookies are overpricing him, considering he is a 2013 winner and in quite good form. At the end of the day, the whole point of gambling is to beat the bookies and when there is a distinct error in pricing, you have to jump on it! He eventually finished T22 at the Irish Open, after putting himself in a good position with a 67 on the Saturday. Before that, he has not missed a cut since the first tournament of the season and barring the BMW PGA Championship, he consistently puts himself within a position to figure in the top 10 and whilst he has never actually figured in the mix up here, he has been on the periphery of a good finish. He currently lies in 62nd for driving accuracy, 42nd for GIR – which as we’ve mentioned will be so important – 7th for putts per GIR and 17th in putts per round. For a number 5 pick he is a very exciting prospect but yes, this is probably last chance saloon in terms of us backing him. 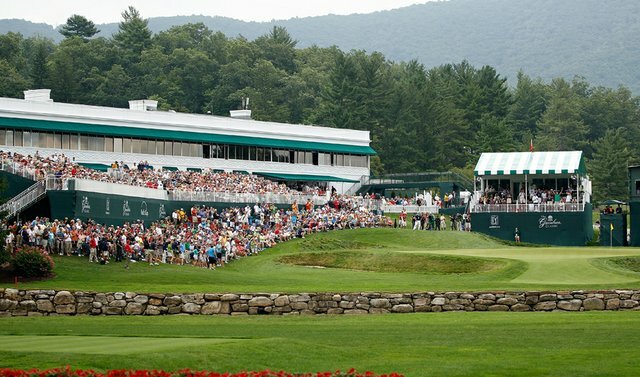 The 4th edition of the Greenbrier Classic will take place this week in West Virginia as the Old White TPC Course plays host. This was the scene for that magical round in 2010 where eventual champion Stuart Appleby became only the 5th golfer to shoot 59 on the PGA Tour, which does mean that this is indeed a course that low scores are possible. It has proven to be more difficult in the following years, but this is still a track where plenty of birdies are on offer. Last year’s winner Ted Potter Jnr and Troy Kelly both shot –16 to force a playoff, so the tight and technical challenges are a thing of the past at the moment and scoring is everything. The course measures at 7,274 yards and is a par 70 with bentgrass greens, so we will be looking at the players who have reasonable length off the tee, although that is not particularly crucial, however the putting stats is where the winner will most likely come from. Especially 20 ft and below, because if the GIR are consistent then this is the sort of distance the players will be faced with. Paddy Power are offering 6 places this week! 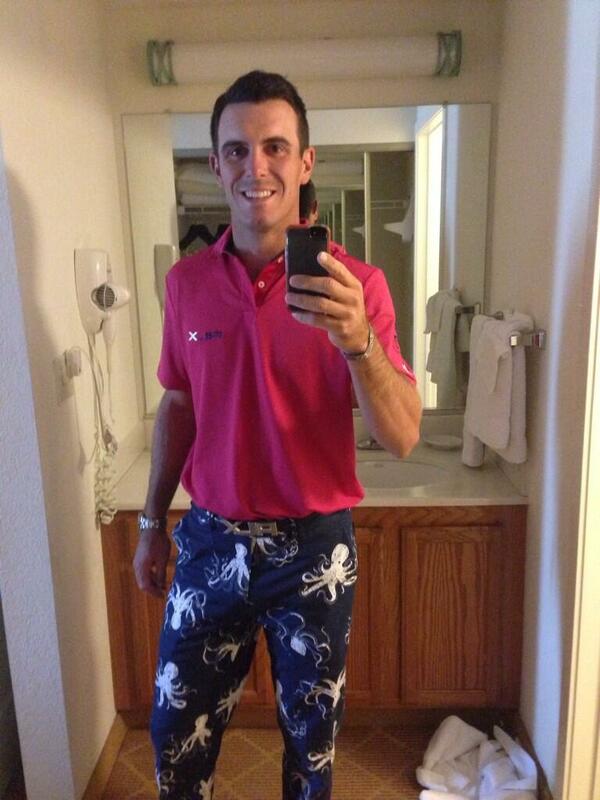 Lets hope his golf is as extravagant as those pants this week! This guy has come so far in a short space of time. He’s been around full time on the Tour for a few years now, but never has he been regarded as one of the ‘top players’. But with the way he is playing at the moment, I think you can call him just that. In 17 starts this year he has 7 top 10’s, a 3rd, 2nd and a win at the Zurich Classic. And with his confident nature and youthful exuberance, we can see him making it 2 wins this week. The course for the Greenbrier will be all about shooting low and holing those putts. We’ll give you some statistics that we think will show you why we can’t look anywhere else. 1st total birdies, 2nd rounds in the 60’s, 5th total putting, 7th total driving, 13th scoring average, 3rd birdie or better conversion. We could go on, but to summarise: Horschel has the ability to shoot low, has been shooting low, and probably will shoot low this week. And let’s not forget his T4 finish at Merion showing he’s not just a birdie machine. As regarding his price, we were expecting 18/20 when we first picked him, so we will certainly snap up 33/1! Billy had a respectable 33rd here last year as well when he wasn’t really on the radar, so who knows what the new Billy can do round here. Charles on his day has one of the best games on the circuit and it is quite surprising that he only has 2 PGA titles to his name. And when we knew what sort of player was needed for this course, he was one of the first names we thought of. After a couple of weeks off, Charles did miss the cut last week but with a game like his, he won’t worry about previous performances. After all, his last top 10 finish came off the back of two consecutive missed cuts. And with that missed cut, we do feel the American is someone who will go under the radar this week, which is shown by his odds. Statistically, he is someone who really takes our fancy. 21st scoring average, 13th strokes gained-putting, 6th top 10 finishes, 6th rounds in the 60’s, 19th total birdies and he’s even 3rd in scrambling. For us, those are enough to be very confident this week. And he did record a 9th place in 2010 on this course, which means he enjoys it around here. It’s also interesting to note that on the courses at the start of the year, where scoring low was imperative, he finished T3 and 2nd with scores of -17 and -25. I’m sure you are all thinking “again? 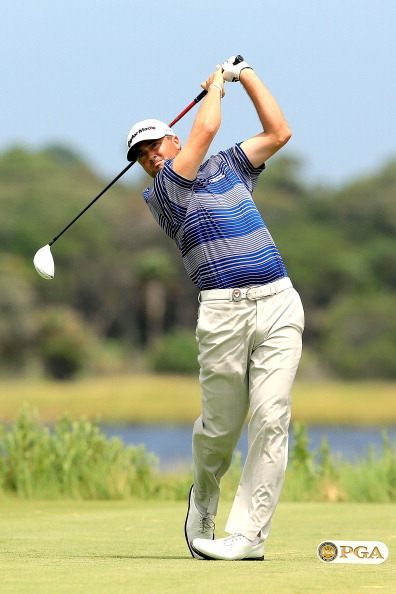 !” as we are ourselves, but time after time Ryan Palmer keeps being the right fit for the week. We just have to look at each week with a clear mind and think “would we back him if we hadn’t already last week” and our answer this week was yes. Shooting low is the American’s middle name, 6th in total birdies, 11th scoring average, 8th rounds in the 60’s, 25th total putting and 16th in top 10 finishes. We can’t stress enough how Palmer will win sooner or later, it’s just a matter of when. He has 4 top 10’s to his name this year and in those he pushed the eventual winner very close. And just like Charles Howell, earlier in the year on the birdie-fest courses, he recorded a T6 and 5th with scores of -23 and -19. So that combined scoring ability with some really solid putting, it could finally be the week for Ryan. Because of his lack of win this year, his odds are great value. Hopefully this is his week. Now obviously we have focused heavily on the ability of shooting low, but putting will be vital this week too. And in Russell Henley, you have one of the best putters around. 14th in total putting and 16th strokes gained-putting is where he finds himself statistically with the short stick. His season has been a bit of a roller-coaster with 3 top 10’s, a couple of top 25’s but then 5 missed cuts. 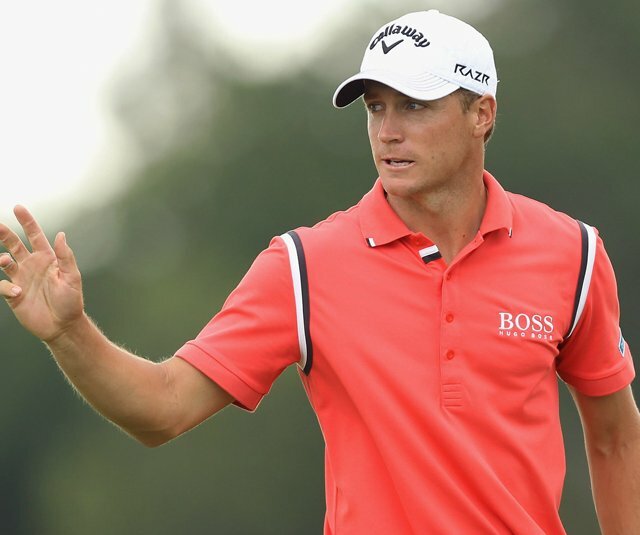 And he bagged his 1st PGA title at the start of the year, shooting -24 to win the Sony Open. But we feel the American is looking very similar to how he did when he took that title in January. Before his T34 last week at the AT&T, Henley shot rounds of 64 and 62 at the CVS Caremark Charity Classic which indicates to us he has his birdie boots on. And don’t worry about his ability to shoot low, 33rd rounds in the 60’s, 15th birdie average, 40th scoring average whilst he also ranks 16th in total driving. We think you will struggle to find many better than Henley at the odds he finds himself at. The 47 year old has done enough to be our outsider for the week. Simply because he’s been playing ok, has great course form and statistically is really quite good. Estes recorded a 2nd place here in 2011 and has made the cut either side of that finish. He hasn’t missed a cut in nearly 3 months now and has a best of T7 at the Valero Texas Open. His T16 at the Humana at the start of the year saw him shoot -20, meaning he can definitely shoot low when he’s on his game. He ranks 25th scoring average, 31st total putting, 4th scrambling and 26th rounds in the 60’s. He obviously won’t excite you as much as our other 4, but he has the perfect game for this course. Can he replicate what Ken Duke did a couple of weeks ago and do it for the ‘old guys’ once more! We will not usually post news stories that have taken our eye, but this trailer was just too good and warranted special recognition. A good friend of ours is a comedian on the circuit and he sent us this video when his friend, Geoff Norcott (@GeoffNorcott) got the chance to voice a robot playing McIlroy in a washing machine golf challenge. It is heart-warming and shows McIlroy in a fantastic light, whilst the silly jokes actually made us laugh out loud. We’ve decided to remodel this section to make it more interesting for both you and ourselves. We have each assembled a team of ‘Players to Watch’ from each tour. Lewis will be PGA Tour. Andy will be European Tour. We have created a point system so you can track how each player has been doing. And come December 2013, you will be able to see which tour’s rising stars have performed the best! Look at this as DownThe18th’s Ryder Cup – where dreams will be fulfilled, putts will be sunk and titles held aloft in this battle of tours across the pond. Henrik Stenson (C) – The big hitting Swede has found rhythm with his swing once again and his iron play has looked fantastic. Will be surprised if he is not challenge a couple more times this year. 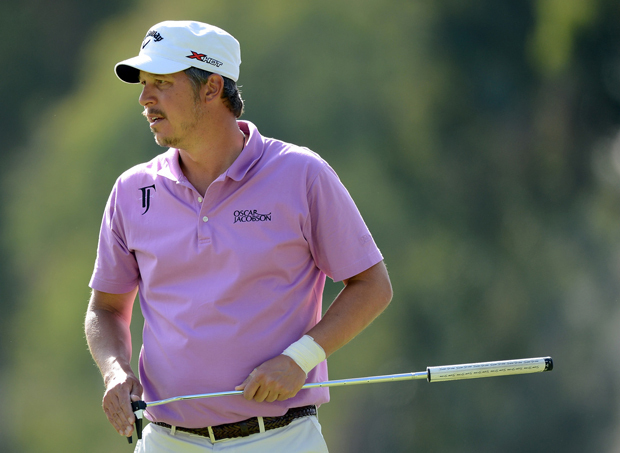 Alexander Noren (C) – Playing too well not to bag a win in 2013. Only finished outside top 40 once this year, no missed cuts and five top 6 finishes! Rickie Fowler (VC) – With only 1 Tour win to his name, it is remarkable how Fowler is so often talked about as 1 of the elite players. He has had a topsy-turvy year but I will be shocked if he is not challenging for several competitions, ultimately he is too good not to. Francesco Molinari (VC) – Back to near his best after he lost his way a bit at the start of the year. Two top 10 finishes in May and is coming onto a few courses where iron-play is key, and there are few better than the Italian. 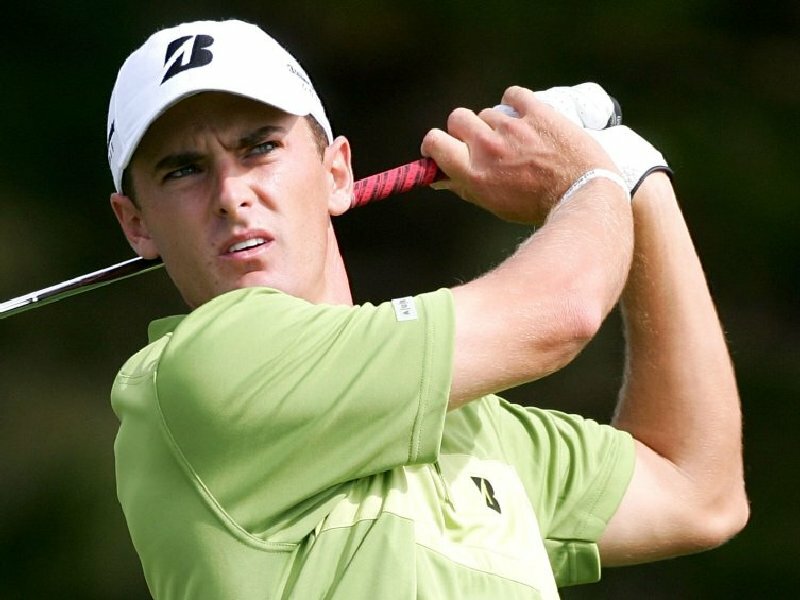 Charles Howell III – has not won on Tour since 2007, having gone through a horrendous dip in form. He came close this year, losing in a playoff at the Humana Challenge, but his consistency and swing are coming back and will not be long before he wins again. Ross Fisher – Slowly getting his game back together, really been impressive in May and June. A win is not far away, and will do well on the links courses coming up later in the year. Ryan Palmer – Palmer has not won on Tour since 2010 and now at 36, age is slowly running away from him. He has had an inconsistent season, but there were signs of a revival at The Players. Could definitely challenge before the new year. Pablo Larrazabal – Just like Noren, playing too well not to have won. Four top 6 finishes already to his name in 2013, and has really been looking good. Some call him a ‘Young Seve’. Kyle Stanley – He may have already won last year, but people will often forget that Stanley is still only 25. He has a stellar career in front of him and is definitely one of the leading youngsters in the game. Brooks Koepka – Absolutely ripped up the Challenge Tour, won 3 times already and has earned automatic promotion to the European Tour. Will definitely want to prove himself, and has booked a place at Muirfield next month. Cameron Tringale – has recorded only 1 top 10 this year, but now being in his 3rd year on Tour, he should be used to life in the high leagues. He is far too talented to not be challenging more often – expect to see him surging. Peter Uihlein – Has won a European Tour co-sanctioned event already, but will want to push on and win one of the bigger ones. Hasn’t missed a cut all year and is in the form of his life. These 2 American’s look very dangerous. David Lingmerth – In only his 2nd start on the PGA Tour, Lingmerth finished joint runner up at the Humana Challenge, after losing to Brian Gay in a playoff. The Swede has gone on to be inconsistent, but do not be surprised to see his name near the top of leaderboards Morten Ørum Madsen – Big favourite of ours, three top 10’s this season including a 2nd behind Uihlein in Portugal. Was T28 at the US Open. Comes from the same club as Danish legend Thomas Bjorn, has a big future. Golf could be considered as one of the most glamorous sports in the world. Getting to travel all over the globe, earn a substantial amount of money for four days work and being able to eat all the wonderful foods other sports stars shouldn’t. Let alone arguably having a gorgeous wife or husband by your side. However in the gloomy world of reality, it is not that simple. There are just over 24,000 professional golfers in the United States alone but only 324 are able to play on the biggest stage of all – The PGA Tour. When you put that into context, if you include Web.com regulars (the second division of golf), only 2.2% of all professional golfers in America are actually earning enough money to live off by competing in tournaments. So without sponsorship, family backing or another job, life on the ‘lower tours’ is one of hardship, dedication and in many ways, a huge gamble. Michael Midgette is one of these ‘gamblers’ who has a dream and is doing everything possible to make it reality. As a member of The National Golf Association Pro Golf Tour (NGA Pro Golf Tour) and The Minor League Tour, Michael plays in tournaments every week and even though he is one of the luckier professionals who can fall back on family support, constant hard work is everything. “I try to practice every day with one day entirely off to give my body and mind a rest from the grind. “The best part about golf is that it’s only up to you. It is all up to the individual to make sacrifices, continue to work hard, and get up everyday wanting to improve. Work ethic is a vital tool for every wannabe athlete but golf is one of those rare sports where there are so many different variables to constantly tweak. As we all know from our own golfing experiences, a wonderful drive can be followed by a shank into the trees and the casual scream of “FOUR” before a great recovery approach shot wasted by a terrible 3-putt. For someone like Michael to be able to iron out these mistakes and push on, it takes years of constant practice. “I am currently struggling to put a good number up on the board, however, it is due to an inconsistency in my short game at the moment, but with my hard work and dedication level, I have no doubt it will come together again soon. “I will continue to practice 5-6 hours a day, 6 times a week with a round or two included. I will eliminate the distractions such as social networking, going out and having a few pints with friends at night, especially the night before a tournament, and enjoy what I do more everyday I step up to the practice tee. With the long term ambitions for Michael and all his competitors to make the big time, it is paramount that the short term goals are looked after first and foremost. Especially as the average life span of an elite third-tier golfer before reaching the PGA Tour is just under 5 years. And even then, there is absolutely no guarantee of success. “There are a lot of short-term goals for the next coming months. I have drills that I use in practice and in pre-round warm-ups that I would like to master in the next week or two. “Smaller accomplishments include leading the money list on the MinorLeagueGolf.com tour by the last major championship late in the year. 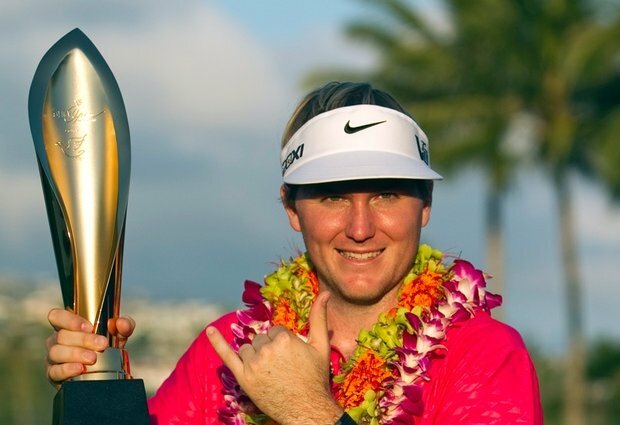 Michael turned pro in 2011 but it was not till January this year when he won his first tournament at the Jupiter Classic, following that victory with another win at the Atlantis Classic just two weeks later, propelling him to 8th in the Minor League money list. “I have gained so much knowledge and experience since I turned professional. As long as I keep learning, having fun, and working hard, I don’t see my game going anywhere, but improving. For many amateur golfers thinking of turning pro, the decision should not be rushed, as it is evident how difficult life as a pro golfer can be. Many will not realise the hardship they will face, however it is not the elite where Michael feels the future of golf as a whole lies, but lower down the ability standards. “An emphasis needs to be placed on the affordability and making the game more fun for the average golfer. “I feel that in order for all customers to enjoy their round of golf, the average pace of play needs to improve, and this requirement will be the quickest and easiest way for that to happen. It was not too long ago that Michael himself was one of those average golfers with “knockoff clubs”, feeling the effects of a costly round. And although his pro tournament entry fees are still not cheap, he has started to realise his long-term dream of reaching the PGA Tour. Although it is not yet glamorous, the reality is that with the right sort of backing, it may not be so gloomy after all. 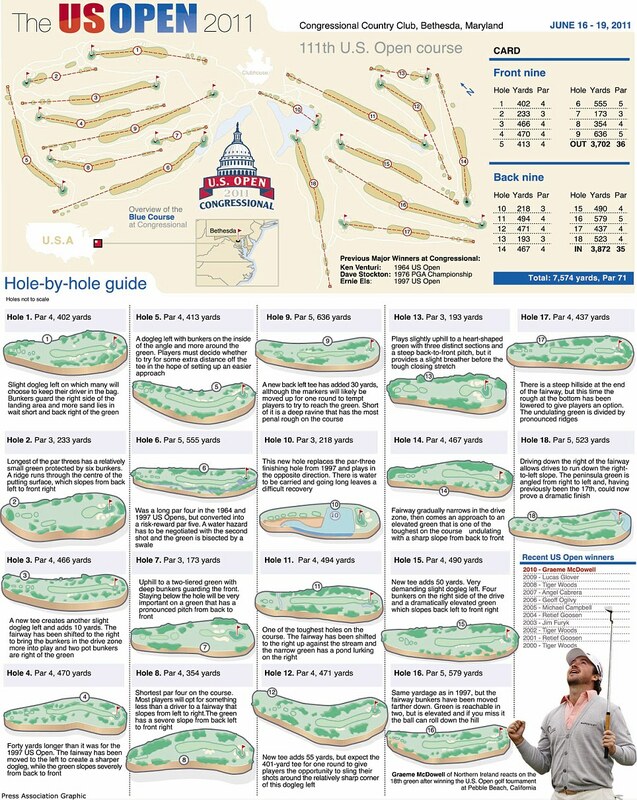 After quite a few weeks on tough, short tracks where emphasis was high on accuracy, we now move to Maryland on the long 7,500 yard course at Congressional Country Club. Many of you will remember the US Open being held here in 2011 where Rory Mcilroy stormed to his maiden major victory. Rain played a big part that week, with the greens and fairways being a lot softer as a result, which allowed the Irishman to win by 8 shots on -16! Now the weather this week is again expected to be poor, with thunder and rain predicted for all 4 days. (Congressional Weather Forecast) So this will mean soft greens which will also mean low scores. The only people to really suffer from the weather will be the shorter hitters, so they will have to make it up on the greens! Consistent iron play and GIR statistics will all be needed this week, but most importantly will be putting. With the greens so large, 3 putting will be seen right through the field. So for this reason, the statistics that we have looked very closely at are proximity to hole, 3-putt avoidance and putting from 5-10’ (There will be a LOT of these length putts this week). But with the weather this week, you really have to look at distance off the tee as well. 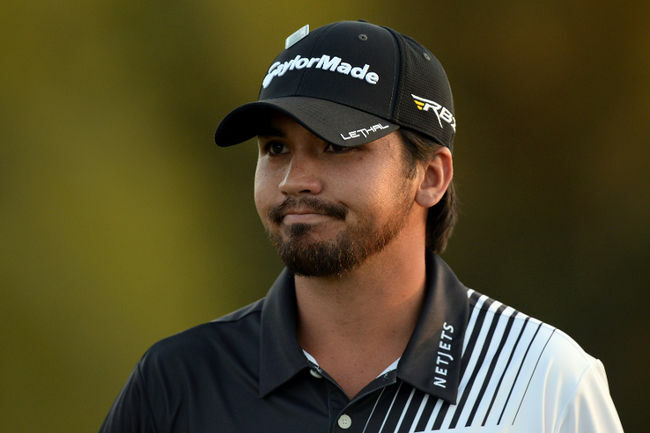 When you actually look at the ‘top’ golfers in the field this week, Jason Day really does stand out. Rose and Mahan are likely to be drained after a tough couple of weeks and nobody knows really how Snedeker is feeling. Adam Scott would be the one worry, but you can argue Day is actually in better form. Jason was 3rd at the Masters and 2nd two weeks ago at Merion and has only finished outside the top 50 once all year, back in February. He has no missed cuts to his name and five top 10 finishes. But it’s his taste for majors that we really like, with Congressional being a major track. The Aussie has recorded four top 3 major finishes in three years, one of which was here at Congressional in 2011, where he finished 2nd behind Mcilroy. It is quite amazing how he only has 1 PGA Tour title to his name, which was all the way back in 2010. But you really have to fancy him to get title number 2 this week, especially as he finished 8th last year in this tournament. Now his statistics are perhaps not as good as our other picks, but with players of his calibre on a course he likes, that should not be a problem. 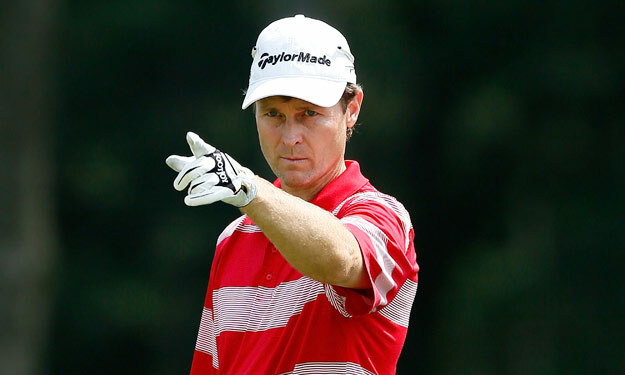 In 2012 at Congressional, he did rank T3 in driving distance, 2nd in GIR and averaged 1.8 putts per green. A nice statistic we do like, is he ranks 10th in carry distance this year, which will be needed on the soft fairways. But with no real ‘big’ names here other than Rose, Snedeker and Scott, Day really will fancy his chances this week. Now Freddie is a real favourite of ours and has yet to register a win this year despite playing really consistently. We’ve highlighted putting as a key area this week, and the Swede is one of the first names we think of when it comes to ability on the greens. And his statistics will back us up. 12th in 3-putt avoidance and 29th in putting 5-10’ is very impressive. But it’s the whole package that we like with him, Jacobson finished 14th when the US Open was held here whilst he registered a 2nd place back in 2008. And after not playing here last year, he will be looking to continue that trend. He ranks 11th in proximity to the hole as well, so pair that with his putting and it makes for a very tasty combination. People with good scoring average have tended to do well here over the years, and he ranks 8th in that category as well. Freddie finished off with a bogey-free 68 at the Travellers last week, so he’s in good touch and will be raring to go. With 2013 being effectively Graham’s third year on the PGA Tour (after injury blighted most of 2011) you really have to think this is the year for him to get his first win on tour. All the signs are there having not missed a cut for nearly 3 months now whilst registering two top 10’s. Last week he went so close, being in the final pairing on day 4 but eventually missed out on the play-off by 1 shot! But this will definitely spur him on for this week, and with the statistics he possesses, he could go one better. The Canadian ranks 11th in proximity to hole, 16th scoring average, 1st in GIR and 46th in putts 5-10’. And he really can strike a ball, ranking 9th in driving distance on the PGA Tour this year. Here’s a few more, 2nd total driving, 1st ball striking, 5th total birdies, 3rd par 5 performance and 7th carry distance. He’s in the form of his life and did make the cut here last year, so he has experience around Congressional. He will get a win soon, so hopefully it is here! Just like the previous two picks, you will have seen a lot of Palmer on our site this year. And more often than not, has got us a return. His consistency this year has to be a rewarded with a victory soon and why not here. His last 3 finishes at Congressional have been 15th, 21st (US Open) and 22nd. Other than a missed cut at Merion, Palmer has finished 4th, 14th, 33rd and 5th in his last four starts which you will struggle to find any better. So the course form and current form combined really does give off positive signals. As for his statistics, they do reflect the kind of form he is in. 12th scoring average, 10th driving distance, 51st proximity to hole, 22nd 3-putt avoidance, 35th strokes-gained putting, 33rd GIR and 6th in total birdies. We keep saying it, but just like the rest, Palmer really does have to bag a win soon and it could be here. 50/1 is great value as well! It’s always a prestigious spot being DownThe18th’s outsider for the week, and Chez has just edged out Canada’s David Hearn this time around, purely because of his experience around Congressional. 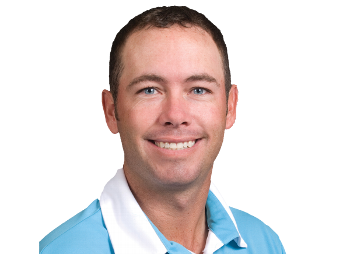 But statistically you will not get any better than Reavie at the kind of odds he finds himself at. He ranks 19th in 3-putt avoidance, 5th proximity to hole, 35th scoring average and 28th ball striking. One worry could be his distance off the tee (280 yards average) but he makes up for that in accuracy, where he ranks 4th! And as we mentioned, his form is more than respectable, 45th (US Open), 48th in ’09, 40th in ’08 and then 15th last year. Definitely someone who has the ability to do well this week. Here we are, entering the final stretch before one of the greatest tournaments in world golf – The Open. The Irish Open will be the first of the British and Irish courses that the Tour does the rounds in. 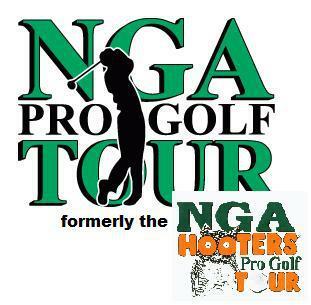 Expect vocal support, huge crowds, superb golf and plenty of smiles! The Carton House facilities have two golf courses, one designed by 2-time major champion Mark O’Meara and the other by Colin Montgomerie OBE. The Colin Montgomerie course will be the one used for the tournament and has only ever hosted 2 European Tour events – the 2005 and 2006 Irish Opens. The 05′ edition was won by Stephen Dodd, whilst Thomas Bjørn came out on top in 06′. The ‘Monty’ course as it has aptly been nicknamed. The course itself is 7,301 yard Par 72 with a parkland feel, featuring the classic British head high pot bunkers. There are 130 of these sand traps – all strategically placed in and around the undulating, fast paced greens and the narrow fairways. It will take good ball striking and clever plotting to overcome the challenge. If you are off your game the horrors that will follow will bite you and ruin any potential victory. Even though it is a relatively long course, we do not feel short hitters will be overshadowed, you just have to be straight and avoid the daunting bunkers and rough. Scrambling will certainly come into play, because you will not see everyone hitting the greens consistently, but obviously the more often you do, the more birdie opportunities will arise. All of this said, the winner will most likely be in the top 10 putting stats for the week, because they are not easy surfaces at all, every putt will be tough and the a-game will need to brought. What is exciting about this tournament is the expected 100,000 fans who will be in attendance, obviously screaming for their local heroes, but as the knowledgeable folk they are, cheers will be heard for every quality shot. Especially on the grandstand par 3 17th, purpose built for the week. Naturally, the field does include the biggest names in Irish golf, that of Rory McIlroy, Graeme McDowell, Padraig Harrington, Darren Clarke to name but a few. This really will be a fascinating week of golf and we personally cannot wait for it all to tee off. 1st 419 yards Par 4 – The first hole is quite tight, guarded by bunkers and water. Good approach shot needed with bunkers on the left of the green. 2nd 415 yards Par 4 – Tough tee shot with 2 right sided bunkers and 2 on the left. The longer hitters may attempt to carry the 2 on the right, but this will be risky with the thick rough surrounding the sand. The green slopes on either side and has 2 bunkers protecting it, so 2 very good approaches are needed. 3rd 219 yards Par 3 – Another tough hole, with cavernous bunkers on the left side of the green, players should be looking for the middle of the surface wherever the pin position. 4th 590 yards Par 5 – First great opportunity for birdie. Dogleg from right to left and will require a straight drive with the minimal fairways, but both long and short hitters should have a putt for at least birdie if the hole is played well. 6th 394 yards Par 4 – Strategic play will be needed to score on this hole, with bunkers and trees protecting the fairway on the right and a green sloping to a deep left-sided bunker. What is very interesting is the fact it is in the complete opposite direction to the 5th, which will disorientate players with wind and rhythm. A real ‘plotters’ hole. 7th 186 yards Par 3 – 5 bunkers carefully guard the green, with a ridge in the middle of the surface, meaning club selection is paramount. A thoughtful shot is needed to have any chance of birdie. 8th 552 yards Par 5 – For the first time on the front 9, there are no bunkers to contend with off the tee. For those laying up, the decision must be made whether they can carry the cross bunkers, whilst the green slopes from back to front with bunkers waiting on either side. For a birdie opportunity, players will need to hit their approach below the hole, with less undulation and an uphill putt possible. 9th 391 yards Par 4 – A dogleg from right to left, with a blind tee shot. Although not a long hole, the green is elevated and slopes towards 6 bunkers that surround the surface. 10th 465 yards Par 4 – The start of the back 9 brings about a long par 4, with bunkers strategically placed down the left side of the fairway. Players with a tendency to shape the ball left to right will be more at ease over their tee shot. The length is extended with an elevated green and 2 deep bunkers awaiting anyone who strays to the right with their approach. A really tough start to the final stretch. 11th 477 yards Par 4 – Another long par 4 and a dogleg from left to right. Bunkers surround the right side of the fairway, so anywhere down the left will the prime tee shot. The green is at an angle, with a pot bunker catching anyone who comes up short – birdie would be a bonus on this hole. 12th 210 yards Par 3 – The green is surrounded by 5 bunkers, with the one closest on the left, being the deepest on the course. Another ridge separates the green, meaning pin positions will completely change the outlook of the hole. A different shot will be needed day to day. 13th 338 yards Par 4 – The longer hitters will contemplate trying to drive the hole, but there are 3 bunkers carefully placed 50-100 yards before the green and 2 pothole bunkers surrounding the front edge. 14th 405 yards Par 4 – A straight drive is needed with 4 bunkers on the right. If you have not found the fairway, the approach shot will be incredibly difficult. The front of the green has a severe slope, so that will need to be avoided. 15th 554 yards Par 5 – It’s a left to right dogleg, with two pot bunkers guarding the lay up, if players choose to do so. The green is elevated, therefore a smart shot will be needed whether going for the green or laying up. It seems like a good birdie opportunity. 16th 462 yards Par 4 – Another left to right dogleg with a challenging approach. The green is long and narrow and to make birdie, the 2nd shot must be below the hole. 17th 176 yards Par 3 – A couple of deep bunkers guard the front of the green, but the main challenge of this penultimate hole will be the carnival atmosphere. €50,000 was spent on a ‘stadium feel’, much like the 16th at TPC Sawgrass. Will be intimidating and nerve-racking. 18th 513 yards Par 5 – The tee shot is crucial if an eagle/birdie opportunity is made. If hit to the left, then the 4 bunkers and humungous tree will halt anyone attempting to go for the green. If the tee shot has gone right, then there will be a line to a sloping green, which cannot be missed right because of the severe drop to thick rough. A great finishing hole, with a birdie just as likely as a bogey. There was always going to be at least one Irishman in our picks this week, because the local support will be ferocious and to have that crowd behind you, can only be a lift. Let alone the fact that the last 9 consecutive Irish Opens have resulted in at least one local finding the top 10. The obvious choices are not only far too short, but the appeal of Lowry really gets you interested. 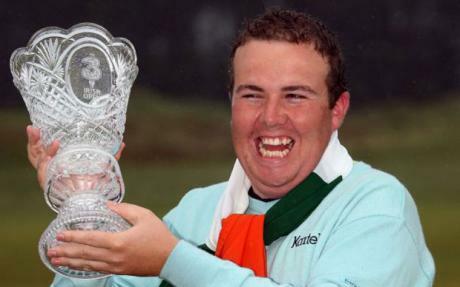 He is a former champion of this tournament back in 2009 at County Louth when he was still an amateur! (For not winning the tournament, Robert Rock received the first place payout. Lucky sod) He obviously went on to turn professional straight after and has since won the Portugal Masters. This is someone who will definitely have a big career if he can push on – to have 2 wins under your belt at 26 is an incredible achievement. This season he has switched between the States and Europe, with a varying degree of success. T9 at the WGC Accenture Matchplay, (Remember him beating McIlroy?!) whilst a T15 at the Valero Texas Open was an impressive performance. 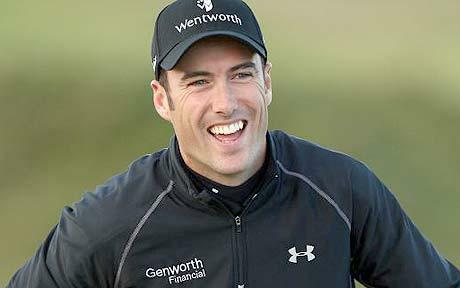 But in Europe he was T12 last time out at the BMW PGA Championship and T9 at the Volvo World Matchplay the week before. The young Irishman is in good form and will be hopefully of continuing that in his home country AND on what is his home course. He has lived just overlooking the O’Meara course for the past 18 months, using the pristine tracks as his practice venues. If that doesn’t prepare him better than anyone else in the field, nothing will. As for his stats, they don’t particularly jump out and excite, but the fact he is 27th in putts per GIR and 46th in putts per round show he has the abilities to take advantage on the greens. On the PGA Tour he is 44th for driving distance and the fact he is 44th in right tendency off the tee is exciting considering the amount of left to right shots that will need to be hit. Being in play down the right on many of the holes could be the difference between birdie and bogey. We have real faith in the youngster and the hope of him reclaiming the trophy is certainly not dumfounded. We did back Fisher last week and were very confident he would produce the goods. Yes, he may not have given us any returns, but he was still playing well and plugged away to a T18 finish. That surely now proves that he is finding his feet and form once again, having struggled for a while, especially across the pond this year. The T10 at the Wells Fargo Championship was the first big signs and it was a joy to watch and hear commentators professing their awe at this naturally gifted golfer. 8th at the Nordea Masters a few weeks ago was another indicator and having backed him for the BMW, we have this feeling that it was one week to soon. This is a course that will suit the Englishman, the marshland nature and distinct British feel will stand him in good stead. His stats complement the idea that he is tailor-made for the track – 13th in driving accuracy, 42nd for GIR, 18th in putts per round and 2nd in putts per GIR. He also proved his potential here with a 5th place finish in 2006, so will have course history on his side. This week Fisher, this week. When we saw Sterne at 50s, we had to stand up and have a proper look considering this is a guy who was one of the form men in golf for most of this season. He obviously won the Joburg Open back in February (Our first win of the season may we add!) only the week after coming 2nd at the Omega Masters. It is not as if he has fallen completely out of sync since either. Yet to miss a cut and a worst finish of T57 at Wentworth, even finishing T25 at The Masters. The South African is having a superb year after finding the wilderness for a few years and to find someone like this at such high odds, it would be foolish not to get involved. Especially when he was 9th here back in 2005 and to think how far he has come in that 8 year gap is scary. 64th in driving accuracy, 47th for GIR, 57th in scrambling, 22nd in putts per round and 13th in putts per GIR all prove how consistent he is tee to green – these stats are scary when you consider what is needed for this course. With most bookmakers offering 6 places, we feel the value of Sterne is too good to turn down and as a player, he is perfect. We have been keeping track of Cañizares for a while now, waiting for the right moment to gamble on him before he makes a breakthrough. It may seem like an odd time considering he missed the cut last week, but the Spaniard could be a perfect fit for the challenge that Carton House will offer. The 30-year old has integrated himself into the European circuit after trying to give the PGA Tour a go and has not had a great deal of success, but now he looks more mature and determined to win his 2nd Tour event. That T4 at the BMW PGA Championship was very impressive, even though some may say that he ‘bottled’ it on the final day. That experience would have only helped him grow even more and with the proof he likes it on British courses, we feel this test could suit the nature of his game. 51st in driving accuracy, 48th in scrambling, 47th in putts per round and 49th in putts per GIR all add to his appeal and with odds as high as 125, it is only sensible that you take a punt on a straight hitting Spaniard such as Alejandro. What an incredible name by the way, you can just keep saying it and every time you wish that was the name on your own birth certificate. Alejandro Cañizares. McGrane is as low as 80s with some bookmakers, which shows the lack of transparency and knowledge in where he should be in the market. 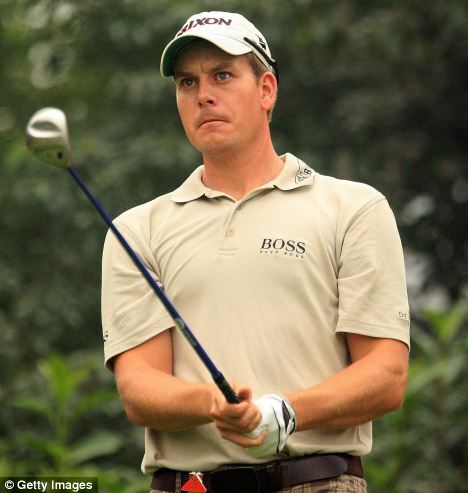 The 42-year old journeyman has not won since the Volvo China Open in 2008, but his form in 2013 is starting to become rather impressive. 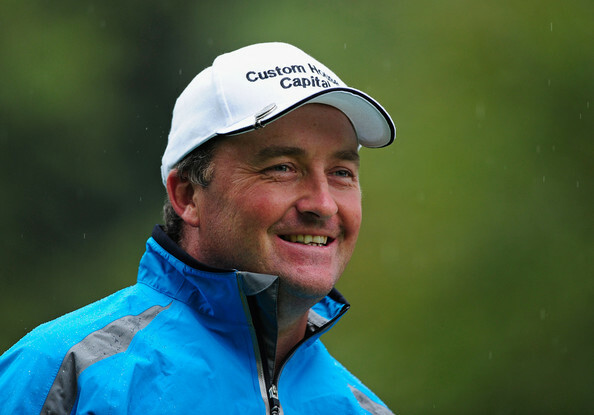 He has not missed a cut in 7 appearances and has 2 consecutive T14 finishes, all of which will give him huge amounts of confidence going into his home tournament, where he did manage a T19 finish back in 2006. He will plot his way round a familiar course and work twice as hard as anyone else to achieve a high finish and with solid short stick abilities, he could be in with a chance come Sunday. 62nd for putts per GIR and 19th in putts per round prove his talent on the greens whilst 71st in driving accuracy and 6th in scrambling add to the evidence that this is one heck of an outsider whose Irish following will only aid his challenge. So all we ask is don’t buy a 99p McDonalds burger and save those pennies for a better cause – Damien McGrane e/w at the Irish Open.